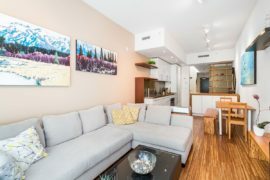 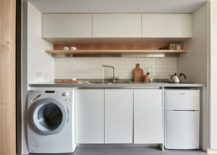 Finding an apartment in a big city that you can call your own is increasingly difficult, and the sky-high prices add to the conundrum of the young urban denizen. 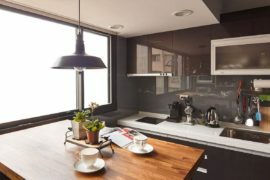 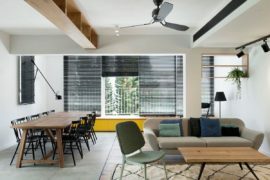 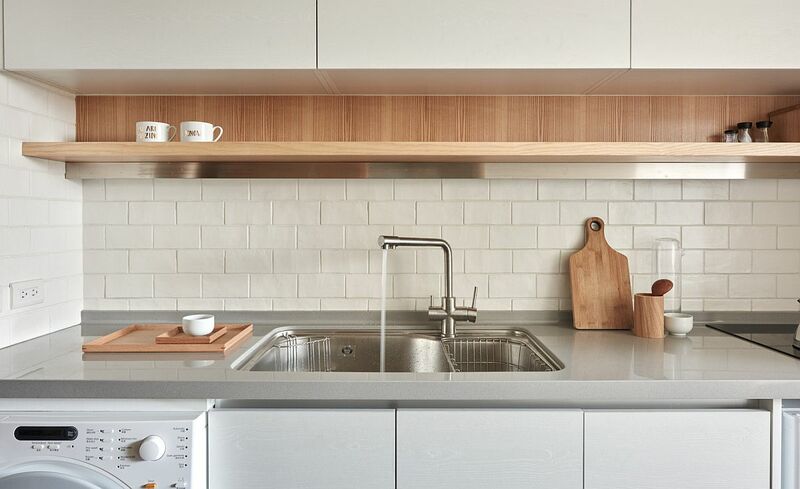 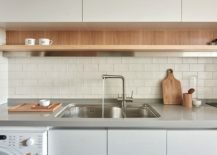 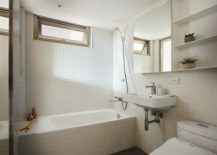 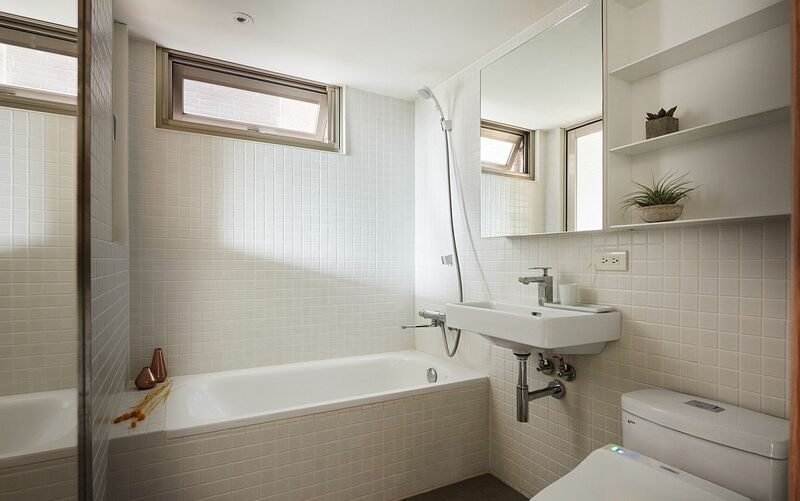 Taipei, Taiwan is one such bustling city where every inch of space is an absolute premium, and homeowners are forced to make the most of what is on offer. 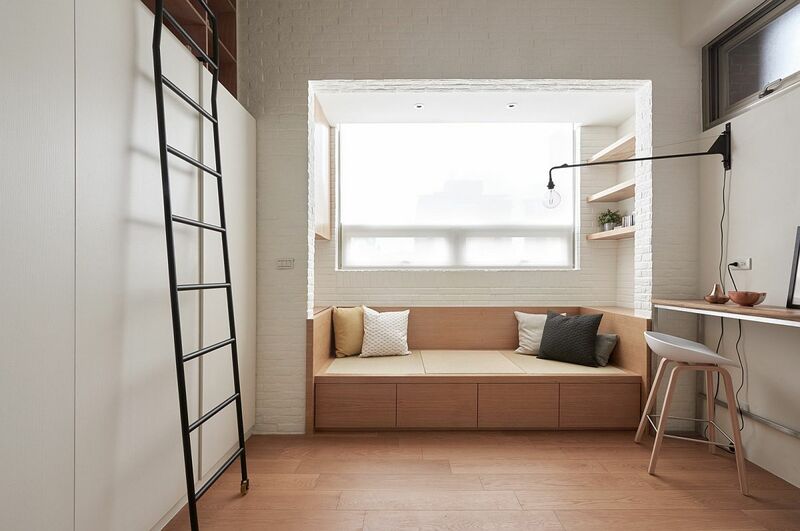 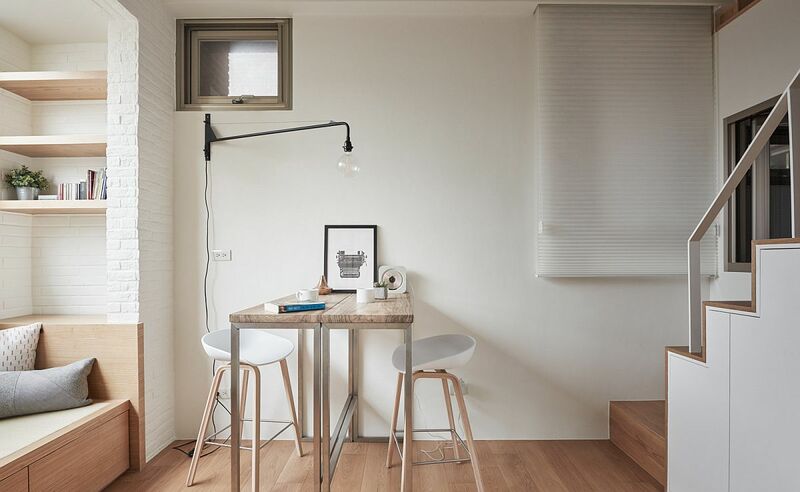 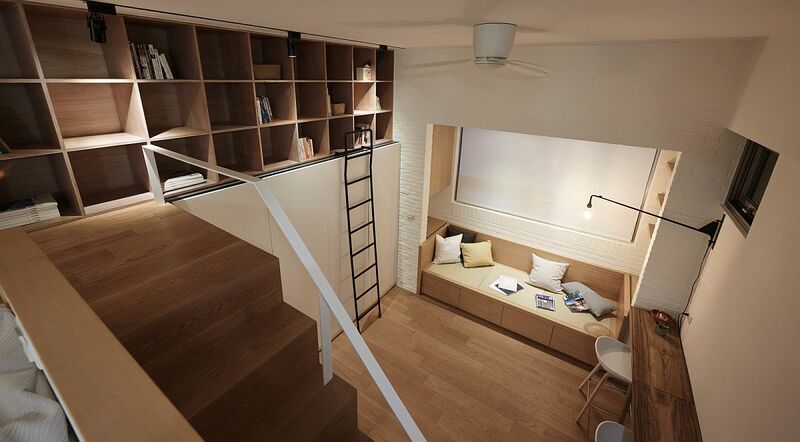 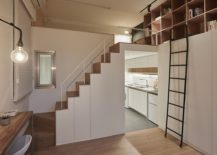 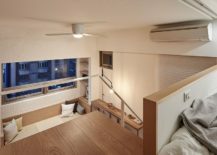 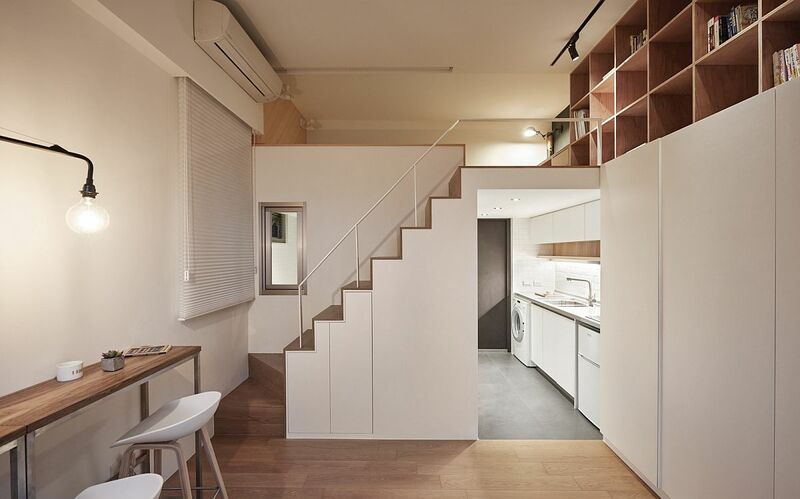 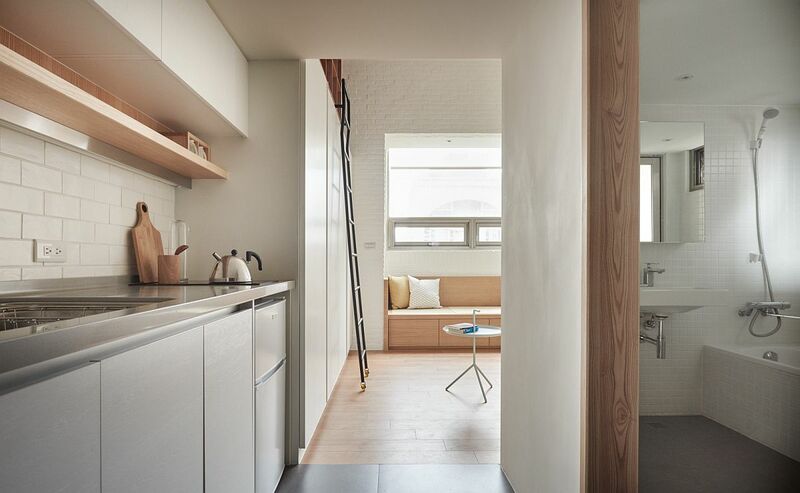 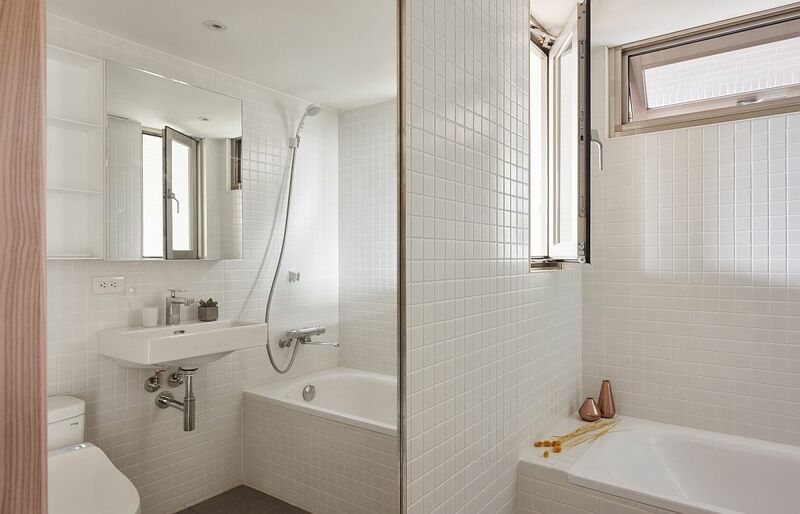 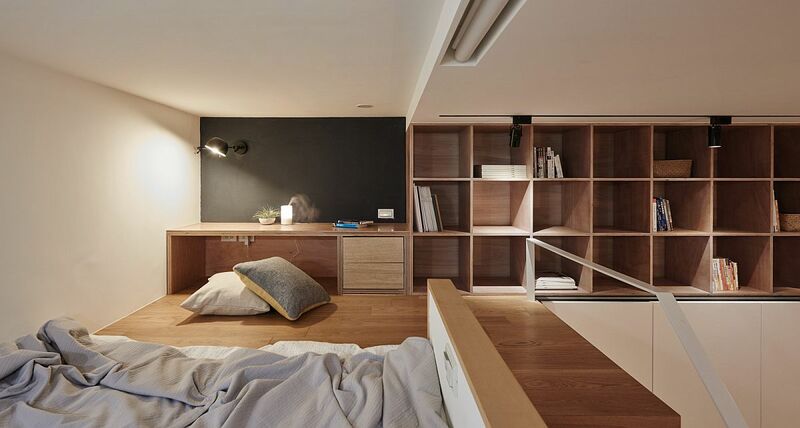 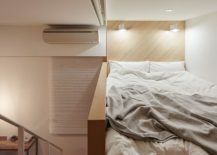 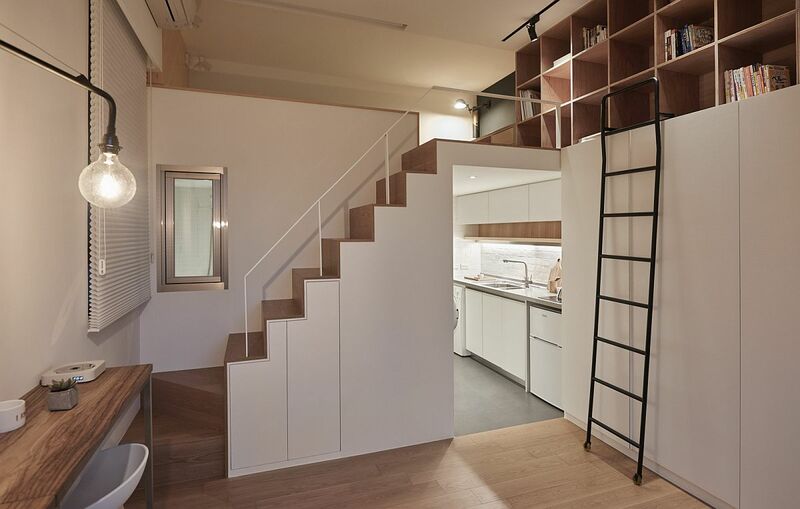 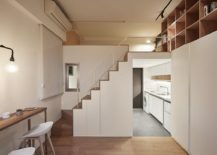 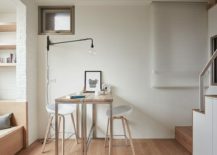 This tiny old apartment is a perfect example of one such space, which was completely transformed by with ‘out of the box’ design that taps into the vertical room available. 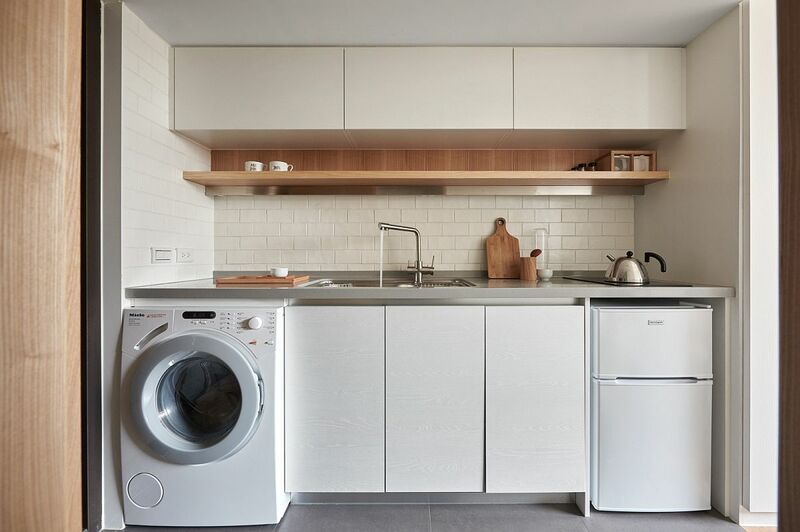 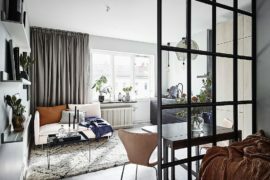 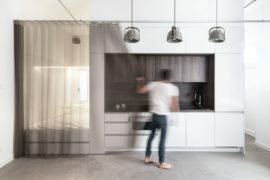 Designed to meet the demands of a young globetrotter, the renovated apartment focuses on functionality coupled with a deceptively airy ambiance. 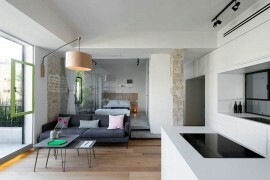 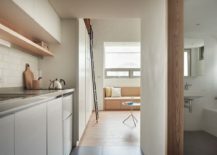 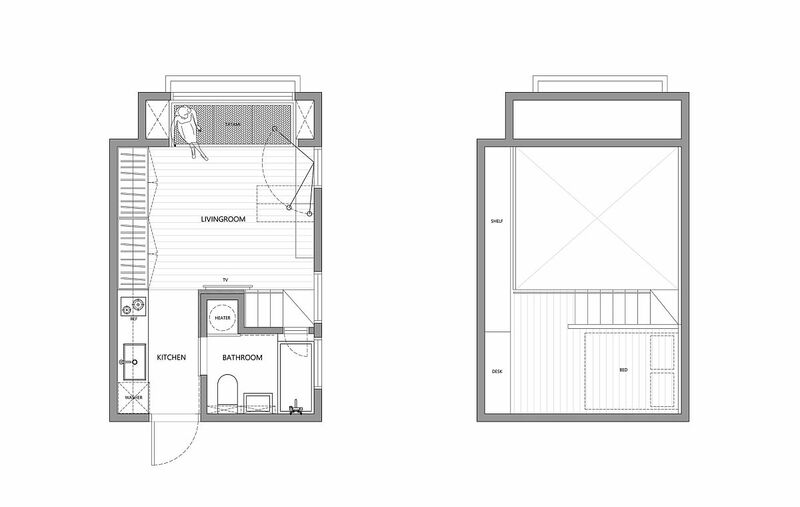 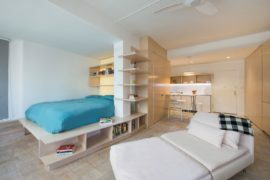 Despite the limited 22 square meters on offer, the designers attempted to create an open and unhindered living space without any further partitions that could result in a claustrophobic setting. 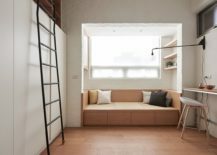 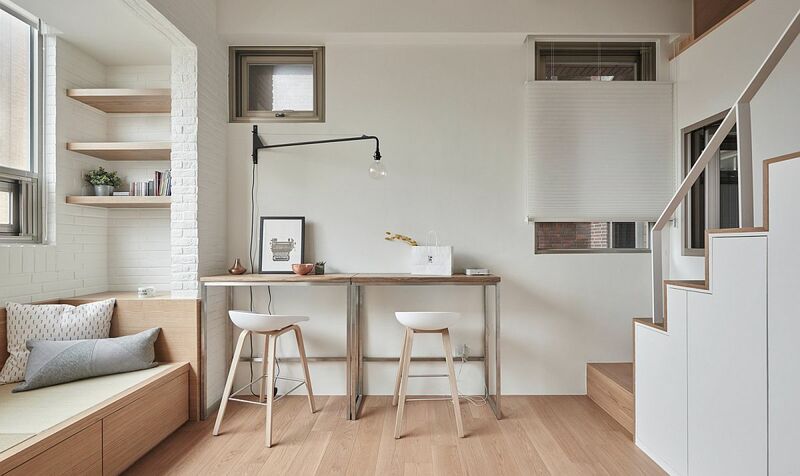 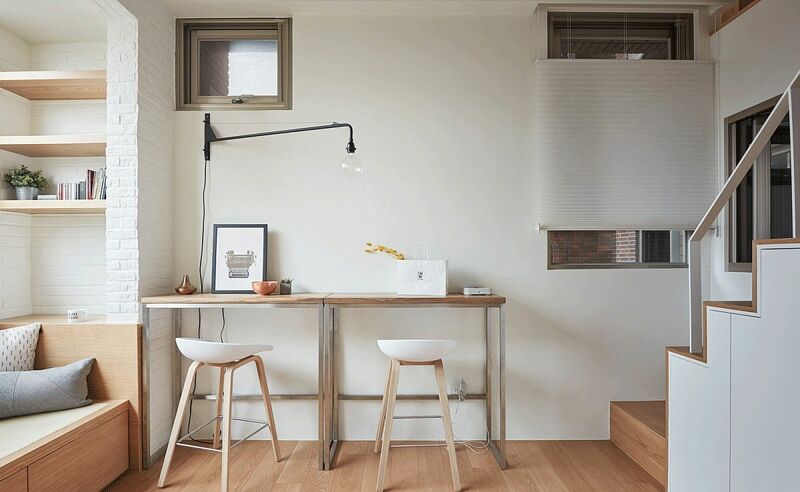 A corner window bench and twin tables that double as both a workstation and a dining area ensure that the living area is uncluttered, even as the tall wardrobe offers ample storage space. 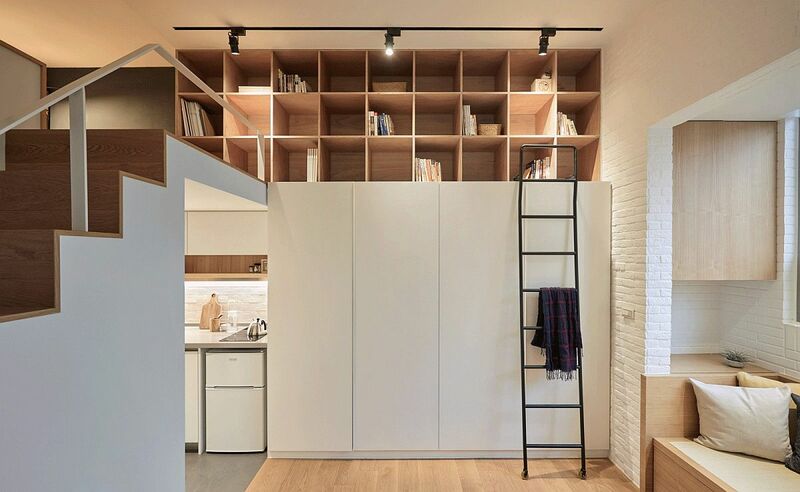 It is the open shelves above the wardrobe that draw your attention instantly, as they bring both aesthetic charm and practicality to the small interior.